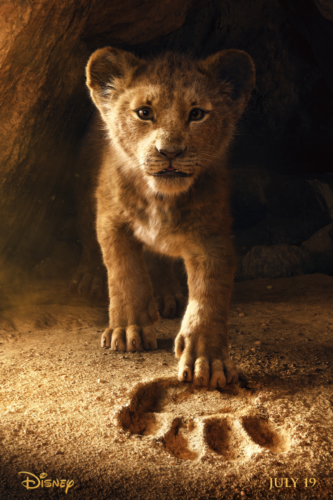 Get ready to head back to the Pride Lands in July because Disney released its first teaser trailer for the remake of “The Lion King” on Thanksgiving Day during the Dallas Cowboys and Washington Redskins football game. In just a 90 second video, viewers get to see part of the iconic first scene from the classic film that debuted in 1994. This includes the song “Circle of Life,” playing as different animals make their way to Pride Rock to watch Rafiki present baby Simba to the kingdom. James Earl Jones narrates the trailer as he is reprising his role as Mufasa for the remake by telling Simba that he will soon be the ruler of the Pride Lands. In just 24 hours of being online, the trailer received 224.6 million views worldwide, according to Variety. This made “The Lion King” trailer Disney’s most viewed teaser trailer within the first day of release. It also is the second most viewed trailer within one day across all studios, with “Avengers: Infinity Wars” receiving 238 million views when it was released at the end of 2017. “The Lion King” film is directed by Jon Favreau who was the mastermind behind the “Jungle Book” remake that premiered in 2016. Other than having Jones voice Mufasa again for the remake, Favreau has created an entirely different cast for the live-action film. Donald Glover is playing Simba, while Beyoncé is the voice of Simba’s best friend and love interest, Nala. Billy Eichner and Seth Rogen play the dynamic duo, Timon and Pumba. Lastly, Chiwetel Ejiofor is the voice of Simba’s Uncle Scar and John Oliver is voicing Zazu. Favreau even got the original songwriters to come back and work on new music for the remake. Hans Zimmer, composer who worked on the original “The Lion King,” has been working on a new score for the remake and Elton John has reworked and will include some of the famous songs he wrote for the 1994 film, including “Circle of Life,” “Can You Feel the Love Tonight,” “Hakuna Matata” and “I Just Can’t Wait To Be King.” John is also looking to work with Beyoncé to create a new end credit song. Despite the hype that the trailer and the first poster of the film created worldwide on Thanksgiving Day, there has been debate whether this new film is truly live-action due to the fact that Favreau is not using real animals. The remake is mainly animated and is shot against a blue screen. All the visual effects are added later after shooting. The crew members and actors use virtual reality headsets, while walking around the set to get immersed into the animated set that Favreau will create in the remake. Despite not using real animals to play the characters, Rob Legato, the visual effects supervisor of the film, does not believe that this movie is considered an animated project. Another topic of conversation that came up right after the teaser trailer was released was that the trailer for the live-action film was almost identical to the one released for the original film in 1994. Some viewers liked the fact that it was very similar, but others were upset with Disney who seemingly made a movie that is an exact copy of the original. Some fans have questioned whether there will be any differences in this remake. It is really too soon to tell Disney’s aim with this remake, but it seems like fans are overly positive about this new cast and the quality of the computer-generated imagery. Overall, people are hopeful that this new film will recreate the magic that the 1994 movie made allowing it to gross $968.8 million at the box office.